The happiness of our customers is of the utmost importance to us. We have set up an easy, fast and secure payment system for you. On CiaoBikeItaly you will be able to pay with your credit/debit card and bank transfer in case of shipment to your address and with cash/cash cards/bank cards if the Products will be picked up at our store in Turin, Italy. We only use Paypal’s secure payment system. CiaoBikeItaly does not store any data of your payment methods. The payment will take place on Paypal, where you can log in (if you are already a registered user) or pay directly with your favourite cards. All of this is done on a secure platform through an encrypted and secure connection (https). We are available, through our communication channels, to help solve any problem or to promptly answer any of your questions. Convenient and quick deliveries, at home, at the office, or wherever you want. We rely on the most efficient and reliable logistics companies to ensure you have fast and trouble-free delivery of your purchases. We offer the possibility of choosing between standard or express, insured or not, deliveries. You can easily pay with your Visa, Mastercard, American Express, Aura, Discover credit / debit cards, via bank transfer or cash / credit or debit cards, if you pick up the Products at our store in Turin, Italy. Because cyber-attacks increase daily and despite dealing with high reliability hosting and constantly upgrading the system and services, an intrusion may occur. Therefore, we have chosen to use only one of the safest global payment systems, which guarantees its inviolability. You can pay with your Visa, Mastercard, American Express, Aura, Discover credit/debit cards, which are recognized and accepted by Paypal (updated list). Do I have to register on Paypal in order to pay? In order to pay on Paypal you do not need to register. You will need to enter your card details on the website and proceed normally with the payment. To whom should I address the bank transfer? Bank: CASSA DI RISPARMIO DI ASTI S.p.A. Note: Payment must be made within 4 days from the date of the order. After this deadline, the order will be automatically cancelled. Generally, the invoice issued by Boeris Bikes sas is delivered in paper format together with the consignment note and your order. The invoice may also be sent at a later stage, at the customer’s request via e-mail, within a maximum of 2 weeks from the shipment of the order. Please note that the invoice, if requested, cannot be changed in any way once issued. Overall, delivery times are calculated on the basis of various factors, including mainly the receipt and handling of orders, payment verification and delivery of the order to the courier. 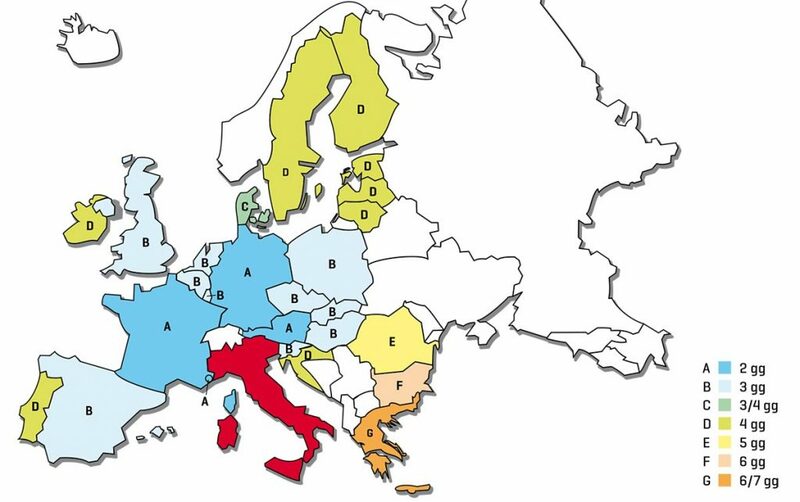 Generally, deliveries in Europe may vary from 24 to 96 hours. In case of collection at our store in Turin (Italy), you will be notified when the order will be available for collection. Generally the order is available for collection within 24/48 hours. Nb: Times are intended as working days. Delivery prices depend on several factors: the type of delivery you choose (Standard or Express), the weight/volume of the products purchased and the shipping location. You will be able to know the total shipping costs on the checkout page. We remind you that there may be variations in cost of disadvantaged or remote areas. For these special areas, you may receive a request for integration on the cost of shipping. We deliver in the Italian Republic (excluding the postal codes listed below) and in the countries of the European Union. 80071 Anacapri, 80070 Barano d’Ischia, 80073 Capri, 80074 Casamicciola Terme, 80075 Forio, 80077 Ischia, 80076 Lacco Ameno, 80079 Procida, 80070 Serrara Fontana, 04027 Ponza, 04020 Ventotene, 71040 Isole Tremiti, 07024 La Maddalena, 09011 Calasetta, 09014 Carloforte, 09017 Sant’Antioco, 92010 Lampedusa e Linosa, 98050 Leni, 98055 Lipari, 98050 Malfa, 98050 Santa Marina Salina, 90010 Ustica, 91023 Favignana, 91017 Pantelleria, 58012 Isola del Giglio, 58019 Giannutri, 57034 Campo nell’Elba, 57031 Capoliveri, 57032 Capraia Isola, 57030 Marciana, 57033 Marciana Marina, 57036 Porto Azzurro, 57037 Portoferraio, 57038 Rio Marina, 57039 Rio nell’Elba. We deliver to San Marino if you are a private customer. From Monday to Friday from 8.30 a.m. to 6.30 p.m.
What happens if I am not present at the time of delivery? 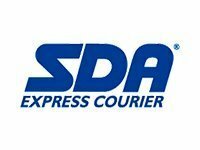 If SDA fails to deliver your shipment, it will automatically attempt a second delivery on the following business day. A notice of attempted delivery will be left with instructions on how to contact SDA to arrange for re-delivery, if necessary. How can I contact SDA? If BRT fails to deliver your shipment, it will automatically attempt a second delivery on the following business day. A notice of attempted delivery will be left with instructions on how to contact BRT to arrange for re-delivery, if necessary. 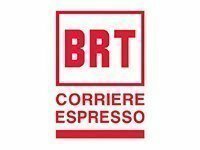 How can I contact BRT? Through BRT online contact form or by contacting the nearest branch (list available at www.brt.it. From Monday to Friday from 8 a.m. to 6 p.m. If DHL fails to deliver your shipment, it will automatically attempt a second delivery on the following business day. A notice of attempted delivery will be left with instructions on how to contact DHL to arrange for re-delivery, if necessary. 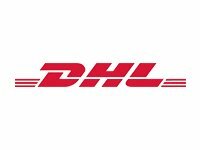 How can I contact DHL?